Our client is a market leading innovator in best practice Human Resource management. The business has won numerous awards both for its business practices, but also for its people policies. A rare opportunity has arisen to join the business as a Human Resource Business Partner to partner with a large business function within the company. This business function contains the majority of the companies creative talent and all of the companies commercial talent and is a pivotal and influencial role within the Human Resource team. This role reports to the Global Director of Human Resources. Partnering with Senior Management and relevant departments, you will design and deliver HR initiatives for this exciting international retail business. You will use your previous experience and natural communication and leadership skills to build and implement a commercial focused and business aligned HR strategy. The business is in growth and you will work closely with Talent Acquisition and reward/Recognition with talent management, succession planning, performance, improvement, recruitment and reward at the forefront of the role. Furthermore, as Human Resource Business Partner you will be responsible for coaching, advising and supporting senior management on all aspects of the HR function, driving the business strategy and ensuring leading practices are in place contributing to overall success. An extensive HR background with at least 5+ years’ experience in a fast paced, best practice retail environment, ideally one that is customer facing. 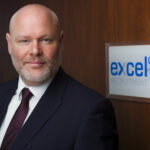 If you have the skills and experience and are interested in this Human Resource Business Partner Job, please apply below for the attention of Barry Whelan, CEO of Excel Recruitment. Alternatively call 01-8148747 in complete confidence to discuss further details.